Rich history, hip neighborhoods, and inviting cuisines fill the German capital of Berlin. Over the course of three days in the city, there’s plenty of time to go sightseeing, wander through museums, and even discover nearby towns and attractions. Here are a few ways to spend 72 hours in Berlin. Catch a glimpse of Berlin’s fascinating history with a full day of sightseeing. If a Champagne breakfast is your style, a skip-the-line ticket to the Berlin TV Tower includes a glass of bubbly with your meal. Move quickly (though at your own pace) throughout the city with a hop-on hop-off bus tour, or sign up for a bike tour to explore on two wheels. If you’re looking to visit many sights while in town, check out the Berlin Pass, which offers free entry to more than 50 attractions including the Checkpoint Charlie Museum. History buffs will learn new details about Berlin’s complicated past during guided tours such as a Cold War Walking Tour. Finish the day with a scenic cruise down the River Spree. Go deeper into contemporary Berlin to learn about how people are living in Germany’s capital today. Walking tours focused on neighborhoods such as Kreuzberg and Friedrichshain open doors into the latest in art, fashion, food, and nightlife. If you’re interested in Berlin’s street art scene, sign up for a small-group street art tour complete with a graffiti workshop. After dark, set out on a food tour by bike to discover Berlin’s culinary scene, or head to the Charlottenburg Palace for a concert by the Berlin Residence Orchestra. Maximize your time in Germany with a day trip outside of Berlin. A serious and deeply moving option is a tour of the Sachsenhausen Concentration Camp, which exposes the story of this camp during and after World War II. A lighter, more festive outing could lead you to Dresden, where grand palaces, baroque architecture, and beer gardens await, or to Potsdam, home to museums, more palaces, and extensive gardens. Return to Berlin in the evening to take in the city’s renowned electric nightlife. Go beyond the typical tourist sites in Berlin as you explore the city’s unique ethnic enclaves and thriving countercultures on this 4.5-hour guided walking tour. Take a deep dive into the Berlin neighborhoods of Friedrichshain, Prenzlauer Berg, Kreuzberg and Mitte, stopping to learn about the various cultures and vibrant creativity that define these dynamic sectors. Explore Kreuzberg’s Turkish community before discovering Yaam Beach, which plays host to Berlin’s reggae and hip-hop scenes. Then pass into hidden courtyards and secret gardens as you admire some of Berlin’s legendary street art. This small-group excursion is limited to just 20 guests. Pick up a Berlin Sightseeing Pass for your visit to Germany's capital and get free entry to more than 50 of the city's top attractions. 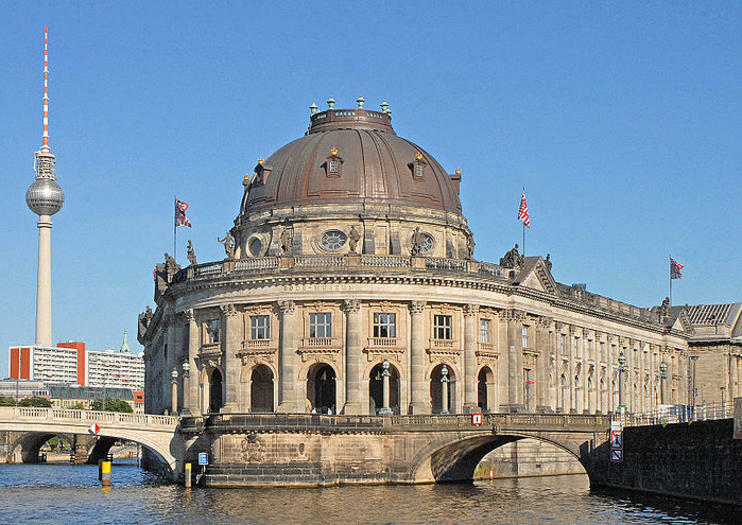 Choose a 2-day or 3-day Berlin city pass to get into places like the Checkpoint Charlie Museum, the Berliner Dom and Museum Island – one of the places on UNESCO's list of World Heritage Sites. With the pass, you also get to see the city on a hop-on hop-off tour, a cruise on the Spree River (during summer only) and free use of public transportation in Berlin. Explore Berlin’s vibrant street art scene on this guided, 4.5-hour, small-group walking tour. See both old and new examples of street and graffiti art on this engaging tour through the back streets of Berlin. Discover more than 50 incredible street artists from Berlin and beyond, find out what motivates them and learn their unique methods. Then decorate the walls of an abandoned factory and design a canvas piece to take home. The material and equipment for the art workshop is included. Some public transportation expense is required. Experience the dynamic cultural and culinary landscape of Berlin on this 4.5-hour, small-group, evening bike and food tour. Explore the vibrant neighborhood of Prenzlauer Berg with an expert guide and learn about Berlin’s fascinating history and culture along the way, with stops at three of the best locally owned restaurants in the area. Enjoy a progressive 3-course meal, featuring a variety of flavors, including Turkish and Middle Eastern cuisine, then watch a beautiful sunset from the Oberbaum Bridge. Use of a bike and helmet (if desired) is included.